“Take the long way home, even if it means leaving the reassuring smoothness of tarmac behind”, says CUBE. We’d be inclined to agree and the Nuroad Pro looks like as good a tool to do that as any. If we consider the whole spectrum of #dirtydropbargoodness-mobiles, the Nuroad sits in that little niche of “endurance road bike/supercommuter/gravel grinder”. 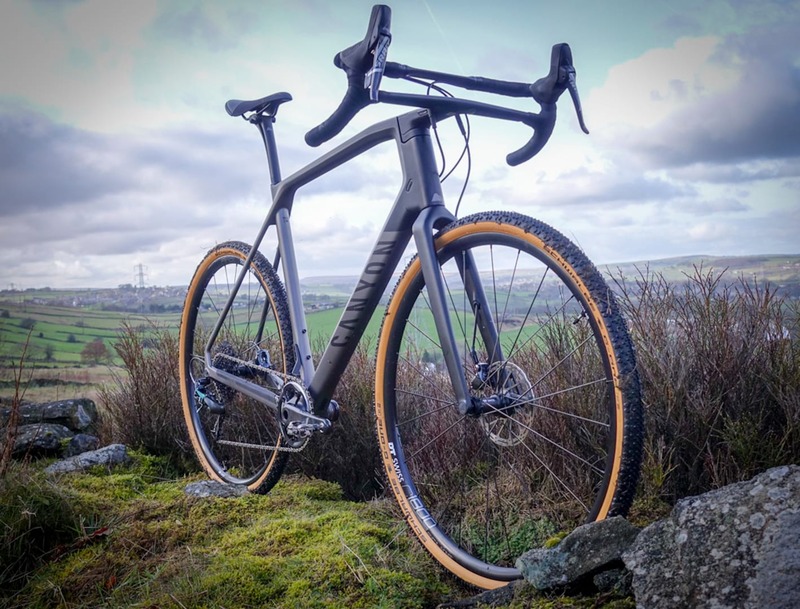 That’s not to say it won’t turn it’s hand to a ‘cross race or tougher duties with a change of tyres, but there are other bikes out there with more of a focus on those areas. We’ve just received this stealthy number in to test, so lets have a virtual showroom wander through the key features. The Nuroad is a 6061 aluminium framed bike, with an alloy steerer/carbon fork. It comes in three builds: the Nuroad, Nuroad Pro (our test bike) and the Nuroad EXC. In summary, the Nuroad is a base spec model, built up with Shimano Tiagra, the Nuroad Pro upgrades shifting and stopping to Shimano 105. The EXC is an interesting off-the-shelf option, as it keeps the 105, but throws in a dynamo hub and light, guards and rear rack – commuting or round-the-world-travelling sorted. All three bikes share the same frame and forks, each using flat-mount brakes, internal cable routing, bolt-thru front and rear, and mounts for racks/guards. Sorted. The frame geometry is fairly upright, with a long headtube putting the rider in a less racey position that the Cross Race bikes. Not surprising, but good for those of us who aren’t looking to spend time between the tape. The full build of the Nuroad Pro screams practicality and reliability. Gearing and braking are taken care of by Shimano. At its core, Shimano 105 covers shifters/brake levers, deraillers and brake calipers. The FC-RS510 crankset is an OEM unit – a little heavier and possibly not as pretty as the 105 5800 option, but no less reliable. It comes with a 50/34t double combo, giving gearing options that should cover most off-road requirements, but also high enough to tap out road miles without spinning out. This is married up to an 11-32t 11sp cassette. Wheels are CUBE own-brand numbers. The RA 0.8CXs don’t seem to be the lightest, but will be perfectly functional we are sure. They are shod with Clement X’Plor MSO tyres. We’ve been happily using the 40mm versions all summer on a few wheelsets. These are betwixt traditional ‘cross tyres (32mm or so) and the increasingly common 40mm for gravel use. At 36mm they should offer decent volume and comfort over rough roads and gravel tracks. It will be interesting to see how they cope at the extreme ends and lose out much to bigger offerings. There looks like enough clearance for 40s if you do want upgrade though. 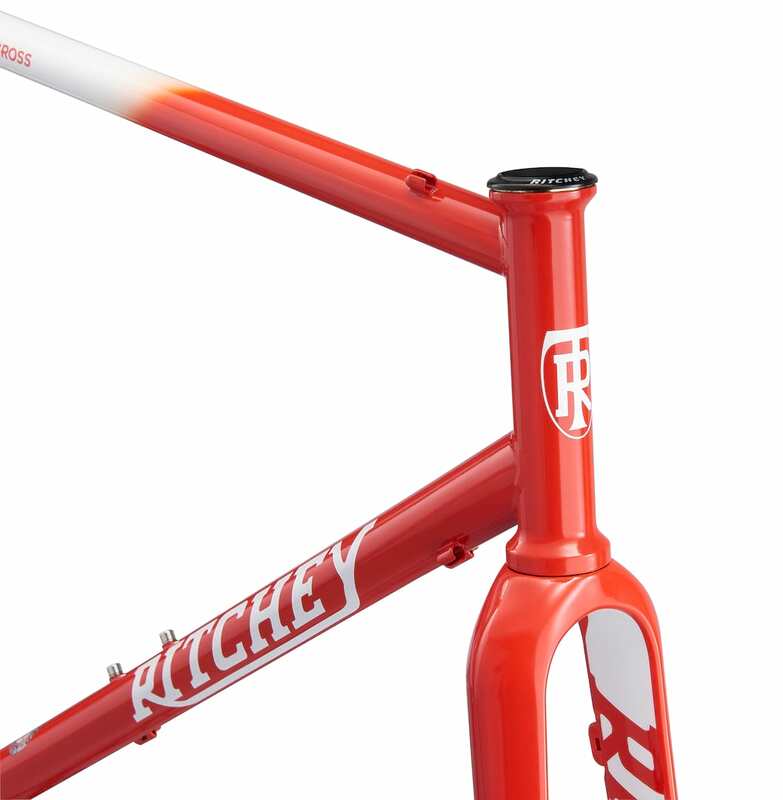 The remaining components are own brand too – from the subtly flared bars to stem, seat post and saddle. We are a fan of the stealth colour-scheme, if all-black can be described as a colour scheme. Tidy, without being boring. At £1,299, the Nuroad Pro sneaks in a little over the magic bike-to-work scheme £1000, but still looks like a good value proposition for a full hydraulicaly-braked bike and Shimano 105. If you can’t quite stretch to that, the Nuroad costs £999 and the Nuroad EXC is £1,399. That sounds like a cracking deal if you have any interest in a dynamo set up. We’ve already got our tester, Alex strapped on board and braving the current winter conditions to get the miles in. His early reports are that the gravel tyres are confidence inspiring on snowy backroads. We’ll ask him to check back once he’s thawed out and put some more miles in over Christmas.